A very large collection which is really three collections in one, MAC Me Over! makes its debut today. In case you didn't catch the exclusive behind the scenes look with the winners and the making of the collection, take a look back at the MAC Me Over! Exclusive Info I posted last month. THIS SEASON, OUR MOST EPIC CASTING CALL EVER, AN ONLINE CONTEST WITH THOUSANDS OF HOPEFULS SUBMITTING A PHOTO OR VIDEO, EACH ASKED TO FINISH THIS STATEMENT: M·A·C ME OVER! BECAUSE....JAMES GAGER, M·A·C’S SENIOR VICE PRESIDENT, CREATIVE DIRECTOR, PICKED SIX STARS WHO BEST EXPRESS THE M·A·C ME OVER! MOTTO – STYLE, HEART AND SOUL – TO BE THE FACE OF M·A·C FALL COLOUR AROUND THE WORLD. A THREE-PART COLLECTION EACH CREATING A DIFFERENT LOOK: THE FIRST FEATURES OUR ARTISTS’ FAVOURITE NUDES AND PINKS, INCLUDING CLASSICS AND NEW LIMITED-LIFE SHADES; THE OTHER TWO GO BOLD, ONE WITH THE SEASON’S OF-THE-MOMENT SHADES WHILE THE SECOND PLAYS IT ICY COOL. MAC Me Over! 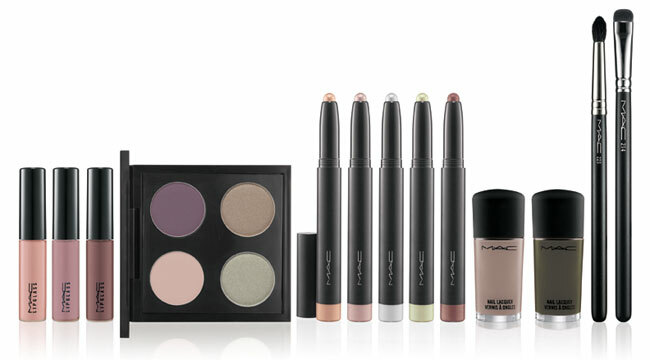 is available today at all M·A·C locations, 1.800.588.0070 and maccosmetics.com. Stay tuned for individual product photos from each collection. I have the imges from the MAC Holiday 2011 collection up too. MAC Me Over: Icelandic Cool.